How difficult is this Pilgrimage? Sun Lochbuie Standing Stones Circle; St Kilda’s Church; Moy Castle. By car, followed by walking The standing stones circle is a 1.5 – 2 grade, because there is some mud. The rest is a 1 – 1.5 grade; this is an easy, pleasant walk, on gentle paths and beautiful beaches For those more fit, we can also try to get to MacKinnon’s Cave (a hermit cave dating back to sixth century) later that evening. This entirely depends on the tide. Mon Iona 1 – the Village (Martyrs’ Bay; the Abbey; the Nunnery; the wonderful Celtic Museum; St Oran’s Chapel; the sixth century monastic cemetery). Optional: The White Strand of the Monks By car, followed by ferry, then walking The Village is an easy walk of level 1. The walk to the White Strand of the Monks is a 2.5 walk, on a very gentle path, with no climbing or steep descending, but it takes about 30 minutes each way. The walk to the White Strand of the Monks is optional. Alternatively, you may choose to spend more time in the Abbey or in the Village. Tue St Kenneth’s Isle. We’ll visit and pray in St Kenneth’s hermit cave (sixth century) and the ruins of the medieval monastery built on the island. 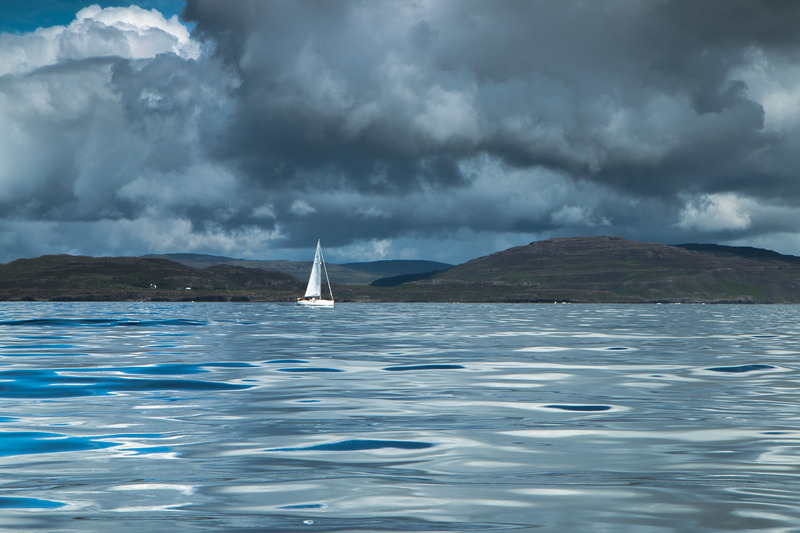 On the way to St Kenneth’s isle, we’ll see the beautiful waterfalls of Mull and (God willing) sea-eagles, whales and dolphins. Car, Sailing boat, walking Grade 2.5. The walk itself is short (20-25 minutes each way) and not difficult at all. The only potential challenge is that we may have to walk for 20-30 metres over an area of the beach covered with seaweed (so have good, waterproof boots). This only happens at low tide. This is entirely weather dependent. If the weather is bad, the local fisherman will not sail. 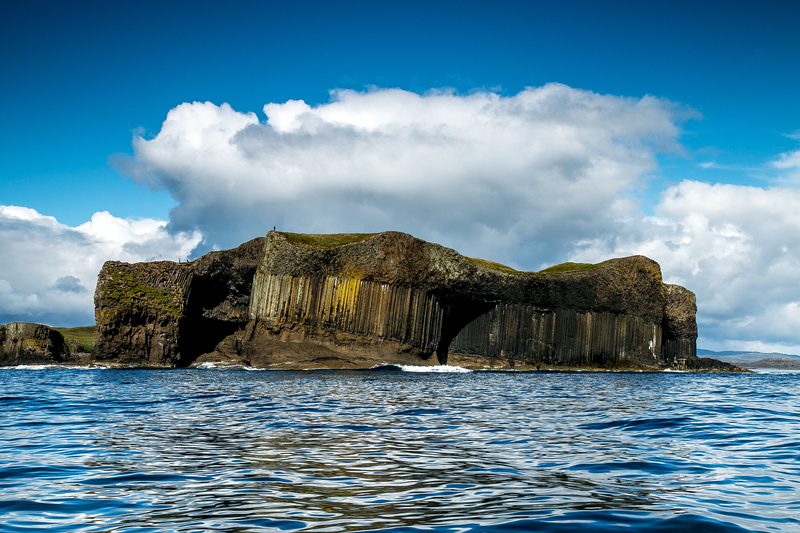 The alternative is a trip to Staffa, one of the Treshnish Isles, and home to the puffin colonies and the famous Fingal’s Cave. 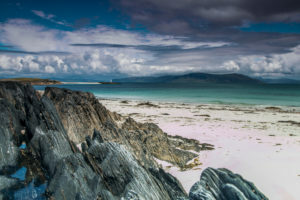 Wed Iona 2 – St Columba’s Bay; the old ‘Desert’ of the Celtic Monks; the Machair (the ‘raised beach’ where the monks worked) Car, Ferry and Walking This is a grade 3 difficulty, only because it is a long walk (1 hour and 15 minutes each way). Apart from that, we walk a nice path all the way to the Bay and back, through the most beautiful parts of Iona. We rest as often as necessary, and there is no need to hurry. This day is optional. 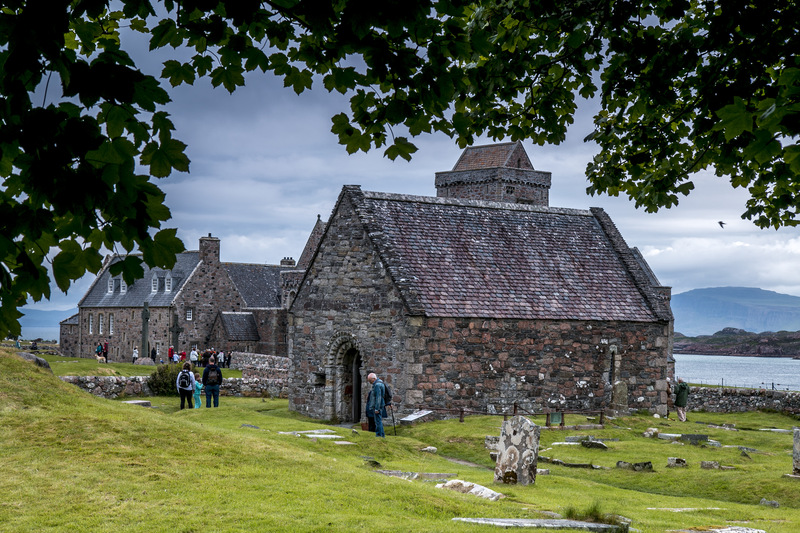 For those who feel unfit for the walk, there are three things you could do: spend some more time in the Village; rest at home (you will fall in love with the place and the views we get from the house); try to arrange a day visit to Duart Castle. Thur St Brendan’s Isle. We shall see and pray in the oldest standing ecclesiastic structure in the UK (the double beehive cell, dating back to 541, when St Brendan founded the monastery), the tenth century chapel, the medieval ruins of the monastery and the old Celtic cemetery, where St Columba’s mother is buried. Car, Speed Motor Boat, Walking Similar to St Kenneth’s Isle. A grade 2.5 walk. This used to be a difficult day, but we have learnt that if we sail at high tide, the boat can take us straight onto the beach. 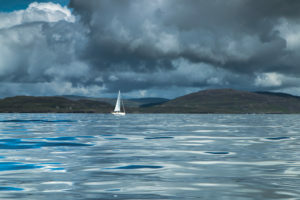 Again, this is weather dependent, but not as much as the trip to St Kenneth’s Isle, because motor boats are safer and more reliable during stronger winds than an old-fashioned (but absolutely beautiful) sailing boat.